So after a good amount of conceptualizing and texturework, I’m proud to present the first few snapshots of my first and most likely biggest, resource pack project; Nova Lux. 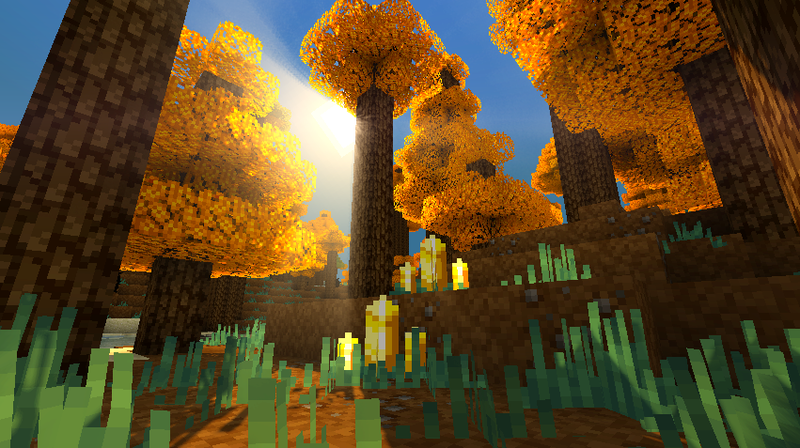 Nova Lux is going to be an MCpatcher pack that aesthetically modifies Minecraft to give the feel of playing an open-world fantasy RPG game, all through the use of the pack itself, and the features included with MCpatcher. Utilizing features such as CTM, CIT, random mobs, custom colours, and more, Nova Lux will bring over 100 new mobs to the game, over 100 weapon and tool variants, multiple races, new biomes, and some story elements and lore to drive it home. Of course these changes rely solely on visual and RP elements, as you can’t add mods through texture packs (and modding is beyond my ability). For now you can check the progression of the pack here, as I complete new content, and post pictures for feedback and stuff.For now, here are some of the common block textures that I’ve completed. Grass plants utilize CTM to grow taller when they are in clusters, and shorter when alone. 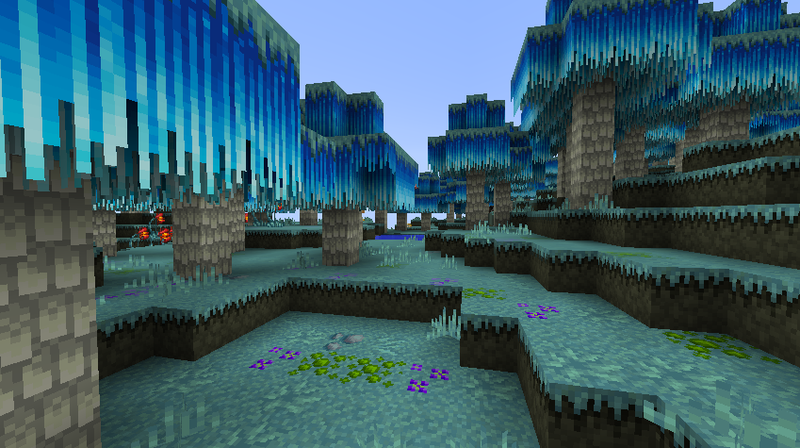 The Cerulean Woods is a biome populated by Cerulean Willow Trees, and various types of flowers and fungi. The trees drop whitewood blocks. Each biome will also have its own unique mob skins too. 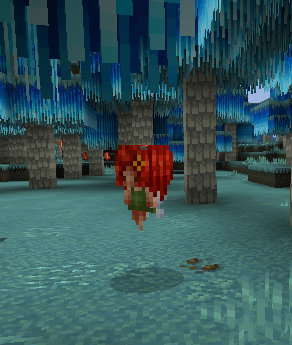 This is a creeper replacer for the Cerulean Woods. The Fire Fairy. 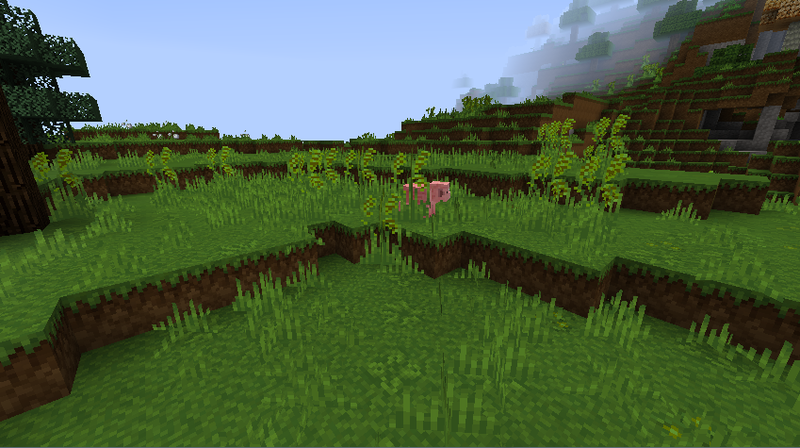 Plant blocks follow a slightly different system with this resource pack. 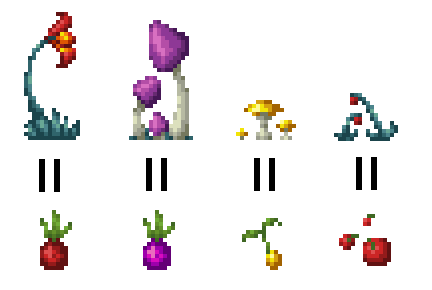 Instead of picking up the whole plant when it’s broken, players will obtain seeds, bulbs, berries, or spores, depending on the plant. These items can be used to grow plants once more, but the type of plant produced may change depending on the soil conditions of the area. Seeds that are planted in the plains may not yield similar plants than if they were grown in the jungle. 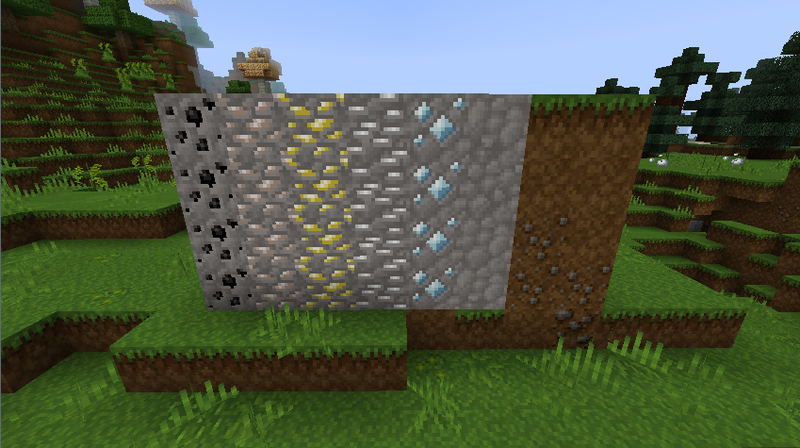 Seeds, bulbs, berries, and spores can also be crushed to create various dyes as well, just like the flowers in regular Minecraft. 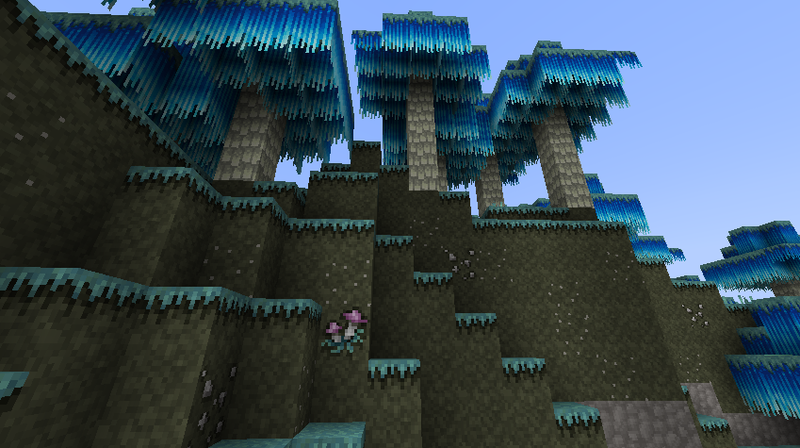 In this image, you see some of the plants these items yield while in the Cerulean Woods biome. Oooohh. I like the look of this. Wow. This is simply amazing. I love what you have done with the birch leaves. That's one of about seven biomes I'm working into this pack. Four of them are subterranean and will rely on specific height limits and surface biomes to determine their appearance. Cyrus I am in awe, I believe this just might be the greatest resource pack ever made when completed. This is quite the ambitious idea if I ever saw one. Question: If I shear off the cerulean leaves and move them to say, a plains biome, would they stay the same colour? If not is there a mod that would allow you to do so? Unfortunately no. :c The leaves are just regular birch leaves that use CTM and biome specificity to look that way. Any Cerulean Willow saplings you get here will also turn into birch trees in other biomes too. I don't know if there is a mod that would allow it either. Modding is beyond my ability right now. Though who knows? Maybe in the future I might make a downloadable addon or something. EDIT: Alright I started giving it a bit of thought, and thing I'll go halfway and just turn all birch trees into willow trees of different colours in different biomes. I started getting a bit bothered seeing the willow's randomly becoming half-birch when they reach the boundary of the biome. This is amazing! Definitely one of the most ambitious packs I've seen in... Well, possibly forever! Looks great so far though, can't wait to see what you have in store for the other biomes. I really love the idea behind this! That creeper "fairy" is just amazing. Progress has been a little bit slow because of school and other stuff, but rest assured, I've been working on this pack too. 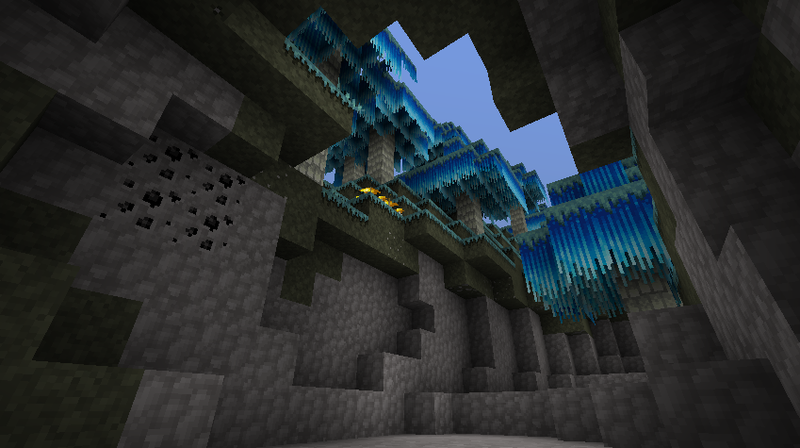 Here's a little teaser shot of the second new biome. The Amber Spruce Forest. I'll write up the full details once it's complete. Made any more progress on this? Really interested to see what you have in mind for the other biomes! I came in here expecting the usual "RPG-style" textures, but... wow. What you're doing here is amazing. Stop now, before I copy your ideas. Really though, I'm interested as to what you'll be doing with tools and weapons. Will it just be stuff that you can get by renaming your items, or will they change with enchantments? I like the idea of a Cerulean forest, but I'm not particularly fond of your white log textures. They don't really have any darker colours around the edges to give a "rounded" look like what you've got with the spruce logs (unless you prefer them that way, which is fine), but the main problem is that the change between light and shadow is far too abrupt with unbalanced contrast- I suggest you make the highlights lighter so that they do stand out, but also make the shadow colours lighter so that they don't stand out as much. Alternatively, you could just make the colour between the highlight and shadow darker so that it balances them both out. It is. I haven't had as much time to work because of school, and things, but I've been making some progress. I took some time to work on some more of the mob skins. Sorry for the lack of activity. You know, this is the kind of atmosphere that a planetary ring* would fit in with. If you're ever planning on a skybox, I'd love to see that be put in. This is not good at all, IT IS AMAZING! I have never seen anything like this before, it's just so amazing. I cannot wait for you to be done with this so I can download it, The Forums needs more resource packs like this. Sorry for the inactivity. Summer classes get pretty draining. 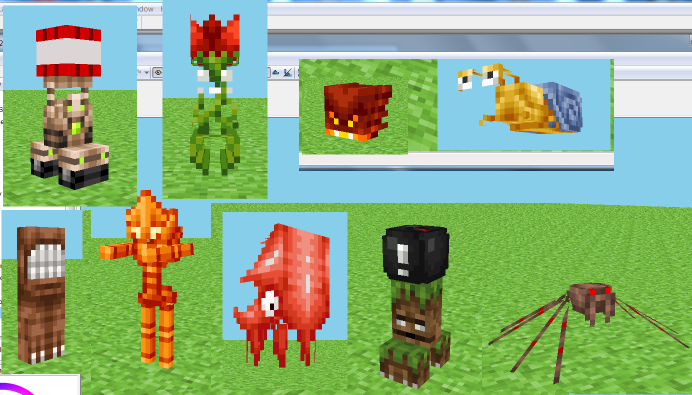 Here's a small preview of some of the new mobs that will be included in the pack. From left to right, top to bottom: Explosive Machina, Bomb Flower, Magma Charge, Giant Snail, Chomper, Amber Crysta, Cuttlefish, Mossbomb, Harvestman Spider. Yeah. 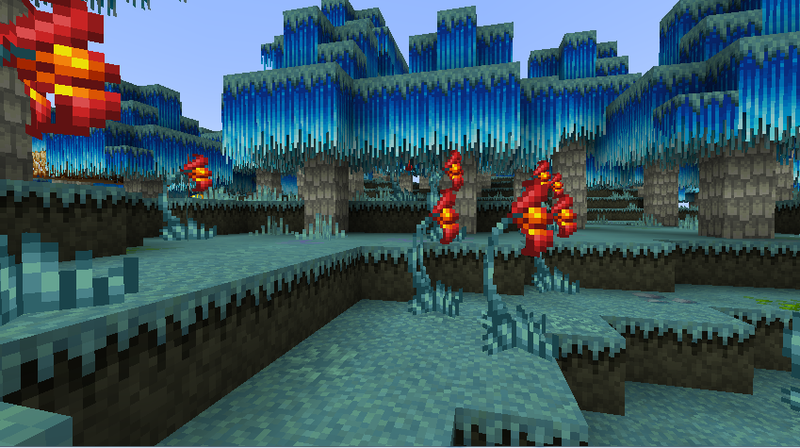 Each biome will have its own mob variants. The picture I posted is just a random assortment of mobs from different biomes. I have about 98% of all of the mobs arranged in this one word document, by biome, and the tally is around 100-105 mobs in total. This is going to take a loooong time... I hope you the best! The roses are wilted, the violets are dead, the sugar bowl's empty, and so is your head. I support this 150,000,000 % lol. Seriously this is a unique and very original idea. If you can pull this off your pack could possibly be the very best pack ever created for minecraft. I like the look of the moss bomb, though I wonder if you couldn't make it without the bomb and just have a short, exploding moss creature. In general, this looks extremely ambitious, and I look forward to updates. My nephews and I have started posting Minecraft videos on my YouTube channel! Fairly random, but enjoyable. General schedule is 4 PM Mon-Fri and 10 AM Saturdays. Most popular MC vid so far is the one Vechs laughed at on Twitter!